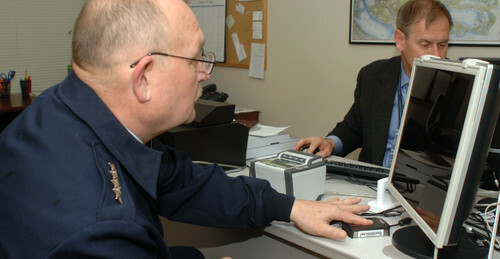 U.S. House of Representatives Homeland Security Committee Chairman Bernie G. Thompson is wondering why two-thirds of the card printers for the Transportation Worker Identification Credential have broken down and why there isn’t a backup plan to have the credential produced elsewhere. More then 1 million port workers are expected to have TWIC by April 2009. Thompson sent a letter to U.S. Department of Homeland Security Sec. Michael Chertoff with a list of question as to why the TWIC program is experiencing further delays. Thompson was wondering why TWIC is only being produced at one facility and why an alternative site doesn’t exist? The chairman also would like to know what financial recourse the agency is receiving since the card printers have broken down. TWIC is being produced at a facility in Corbin, Ky. owned by Homeland Security but operated by outside vendors. The original contract to produce credentials for Homeland Security was awarded in 2003 to Datatrac Information Services Inc., SEI Technology Inc. and Information Spectrum Inc., an Anteon Company. Computer Science Corp. acquired Datatrac in 2007. Aneton was acquired by General Dyanmics. 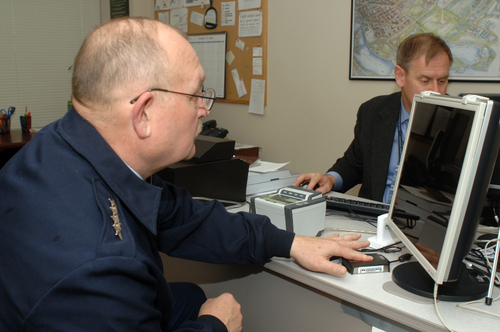 The same facility produces DHS’s Permanent Resident and Border Crossing cards. At the time of the contract award Rep. Harold Rogers (R-Ky.) was chairman of the Homeland Security Appropriations Committee. Rogers’s district includes Corbin, Ky.
Industry sources say that the Corbin facility is using desktop card printers to produce the credentials. These printers aren’t meant to handle the type of volume required by TWIC. Thompson’s letter can be downloaded here.